Hillsborough County detention deputies took some time out of their day to bring smiles to the faces of kids at Tampa General Hospital. Helena Lane with Goodwill Austin talks with Tania Ortega about Goodwill's Pop Up Shop Saturday and about thrifting. 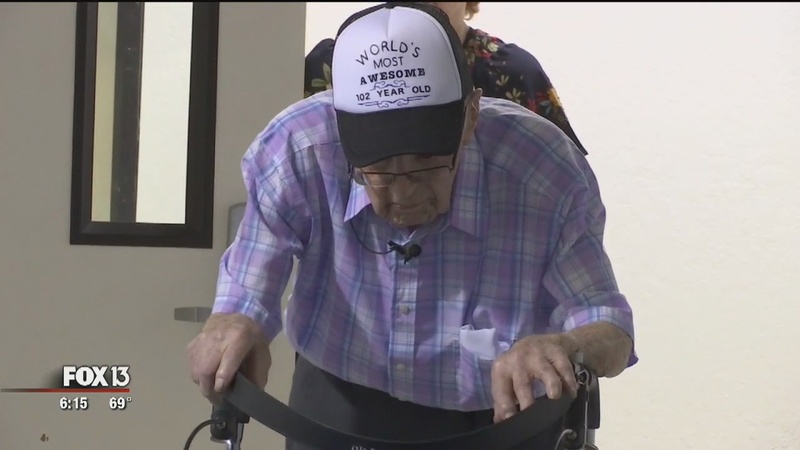 Howard Ledbetter celebrated his 102nd birthday surrounded by generations of family members, but says he doesn't feel a day over 95.